I ordered a acro Naze32 without the baro and the mag and was wondering if it's possible to add a mag later if needed using the I2C pins on the bottom of the board. as long as you keep its orientation same etc. Just a quick update because this is the thread that helped me getting this thing flying. Went out in the field for my first FPV-testing and some very simple acro. First clip LOS, on board footage is FPV. Turnigy Nano 4S 2200 mAh giving 7 minutes with full FPV equipment and GoPro in waterproof case. And again: thank you som much timecop! For making my FreeFlight FC useful by porting MultiWii to 32 bit and by helping out when setting it up. Just for everyone's benefit: above small quad (total weight incl. 3S 2.2Ah battery about 550g). Flies well and I am impressed with the Naze32. Level mode works not (build from Sep 21st), acro mode is fantastic. Battery lasts 12min slow flying. The default values were quite off, although it was flyable. BARO mode works reasonably well (boring though). I have not tried anything with the mag as I turned it on once and it confused the heck out of me when I tried. Won't repeat that anytime soon until I understand it more. Last edited by hkubota on Sat Sep 22, 2012 12:35 pm, edited 1 time in total. Have set up Frsky on my radio system and using D4R-11 as above have wired up for telemetry as you have outlined, triple checked for connections etc, but get nothing at all (other than signal strength) any suggestions, from what I understand I didn't think I needed to change any settings. Knew it would be something dumb. Is there a possibility to reconize that GPS fix have enough satellit to handel with Naze32 ? I have no buzzer on Naze32 and no laptop or iphone on the field. I think the red led starts to blink > 5 or 6 sats. Same as on MWC. Ok this is like you write, led blinks by 5 sats, thanks ! I ask because by testing the Gps value sundently be frozen and send ever the same value, is the GPS overheating by 5V Vcc or is there another trouble ? When GPS feature is enabled, channels 3 and 4 are are used for 3.3V GPS connection. connect AIL to 1, ELE to 2, THR to 5, RUD to 6, and AUX1/2 to channels 7 and 8. I am sure this is just something i am overseeing but i have a small problem regarding my engines. I finally received my X9 with FRSky Tx and Rx and i am using PPM. When i connect the flight controller to the MultiWii software it's giving me the data and i see the stick movement. When al is checked i;ll arm the controller (green light, Arm in Gui lit) Then i'll thottle up and i see that the engines should receive signals to start spinning. My ESC's (Simon K flashes) and Engines have just been callibrated with the receiver (not ppm) and work like a charm. What am i forgetting or doing wrong. Seems to be something wrong with the flight controller. I have second one (Naze32 withoud baro and magno) with the same firmware connected the same way and this one is working like it shoot. Sorry TC for ever doubting your amazing board. In the meantime I have set gps baud back to 57.6k (after some connection problems + after I have seen how fast u-blox test software sends sentences via 9.6k ... so I think 57k is fast enough to catch this some Hz only infos). - After changing gps related values via CLI (flight field / laptop) I had the impression, that CLI's save/exits board reboot was not enough(?) ... but after a power off/on boot (disconnecting both lipo + usb) GPS was green again. Yesterday after updating to r223 I had the same effect I think (desktop PC). Summary: GPS has to be rebooted/powered off/on to get any changes(?). - ... and / or I think there also is a relation between laptops accu volts: once at about <25% laptop accu filled I had some usb comm problems ... where first info gets lost always seems to be GPS. 38400 is max needed for 10hz nmea with rmc and gga. Okay, simple newbie question, but I have to ask it. I've configured the quad, mounted it, and calibrated/trimmed it. sure. and in gyro-only (default) mode, it would also stay in whatever angle you give it with sticks until you correct it with equal opposite stick control. but yeah, lift off with throttle only should more or less stay level (if it was taking off from level). if you moved the frame while powering it up, do gyro calibration stick sequence before arming. 1st of all: have(had) a look at http://www.abusemark.com/downloads/naze32_rev2.pdf 's page 11(?). As a total newbie (in gyro only mode) it's not very easy: the angle of the copter will be indifferent: eg 10 degrees = 10 degrees till you control it back to 0 on your TX. If this your 1st command (maybe with heart rate 195+ stress? ) is -55 degrees and not -10 you are a little in trouble. So - if you are totally new to copters - it is highly recommended to select eg. a soft meadow with high grass and try to hover at about 1m height with copter heading away from you ... and in case of trouble simply throttle down to 0 and let the copter fall into the high grass. Later - with ACC - it will be easy: ACC brings the copter 0 degrees angle automatically. ... and please crash protect your Naze32! Bhuwan wrote: Okay, simple newbie question, but I have to ask it. I've configured the quad, mounted it, and calibrated/trimmed it. Thanks @LeoWie and @timecop - I'll use this information for (hopefulyl) a stable flight. Which is the right number for mag declination BERLIN 2deg 53min east = +253 is this ok ? and is this Value important in the software ? From the code, your format is correct (but you don't need the plus sign, only needed for negative). dddmm, and mm must be two digits. Also, the magnetic declination is used in the heading calculation when MAG is present. If the value is 0, it will use the raw data from the compass and it won't fly off in an accurate heading (e.g magnetic North instead of true North). While looking into the magnetic declination question, I came across this nice (PDF) introduction into MWC GPS by EOSBandi. Although it's not really Naze32, it explains the GPS related MWC parameters and I thought I'd pass the link along to those of you experimenting with GPS. He includes a link to a neat GPS PID simulator(for Arducopter, but still useful) on the DYIDrones site. Many thanks to rotary65 for prev. post. It's two missing links for me + very useful. PS: Yesterday I had some glasses of wine in a retaurant in Vienna's Arts-/MuseumsQuartier with a new friend from this forum and we both had a copter with us: my Micro Naze32 + another <1 kg Naze32 quad. Within 6 hours there our copters attracted 5(!) different young ladies who wanted to have detailed infos about the copters (not our telefon numbers) and I had to indoor fly 3 times with 4 or more glasses if wine ... (no crash). Sumary: I think there are some hidden shoe-, handbag- or jewel micro components inside the Naze32 and from now on in restaurants I always will sit on a table next to the ladies toilet! Last edited by LeoWie on Fri Sep 28, 2012 4:37 am, edited 1 time in total. Yeah, someone got a few while I was sleeping. Fixed now. I am trying to get my Navigatron to work with the Naze32 (Sorry Timecop, I got one of the I2C "hacks" before I got my Naze). 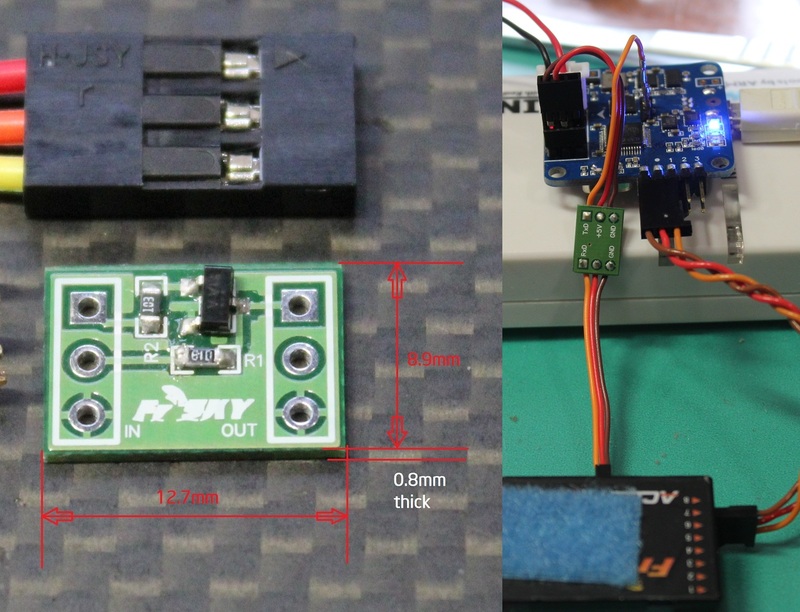 It is the same MTK GPS module from flytron with the addition of Atmega for the I2C functions. It works with my Pro Mini based FC, which I'm trying to replace with the Naze. The GPS is flashed with MTK binary 5Hz firmware from the EosBandi's google site. Unfortunately I can't get it to show in the GUI connected to the Naze32. I have only the Tx from the GPS connected to the Rx on the Naze (port 4) (and power and ground of course) and GPS set to mode 2 and gps serial spped to 115200. Did you make any progress with your module and what am I missing? "I only have the tx from GPS connected"
if youre using mtk type, you need both rx and tx so it can send appropriate init stuff. a friendly reminder: unless you're willing to debug stuff or look through code to see what's going on, don't bother with GPS. i do NOT test it. timecop wrote: "I only have the tx from GPS connected"
it is to early to say anything - but there is a need for good logs. i am scared to generate a fly-away-copter. therefore i need to know what the gps unit is 'seeing'. so we need to define a common log format. Anyway i was wondering if it where possible to split up the cppm signal to multiple devices. If i have a Camera on my quad (not having it yet) and want to switch it on or take a photo in mid air. How to do this with all 8ch in use using cppm to my Naze32. Is the Naze32 able to relay the signal of 1 or more channels or switch external devices via a motor output or so? yes, you can mirror aux1..4 to the RC pins 5..8 by setting gimbal_flags=8 in cli, however if you're using a fullsize receiver like D8R or similar, you can just connect regular servo connectors to channels 5,6,7 (while keeping PPM on channel 8) and it works as expected. timecop wrote: yes, you can mirror aux1..4 to the RC pins 5..8 by setting gimbal_flags=8 in cli, however if you're using a fullsize receiver like D8R or similar, you can just connect regular servo connectors to channels 5,6,7 (while keeping PPM on channel 8) and it works as expected. the first declarartion is already in 'use'. I agree, changed for next commit. I'm unable to upload the baseflight.hex from SVN onto my white pcb version. I'm only able to upload the older baseflight from the downloads list. This error is displayed when I try to upload baseflight.hex from SVN. I also trid the other baseflight_fy90q.hex, but still the same error!?!? Why don't you try to use the naze32 windows configurator? It updates the latest firmware on svn (you download and update). Last edited by tcarnal on Thu Oct 04, 2012 2:35 pm, edited 1 time in total. vineetp wrote: I'm unable to upload the baseflight.hex from SVN onto my white pcb version. you probably saved the html page instead of the actual hex from SVN. have you tried reading the first post where it tells how to obtain latest hex from SVN? You've had the hardware for like a month already, surely its not that hard. nicog wrote: Why don't you try to use the naze32 windows configurator? It updates the latest firmware on svn (you download and update). timecop wrote: you probably saved the html page instead of the actual hex from SVN. Lol, no. In the list i right-clicked on baseflight.hex and then clicked 'save link as'. timecop wrote: You've had the hardware for like a month already, surely its not that hard. No, it wasn't hard at all. I flaahed it on day 1 itself (with the wrong, older firmware), then went on a break. nicog wrote: Why don't you try to use the naze32 windows configurator? where is the naze32 windows configurator, to find it?